In the previous post I talked about the use of SkyDrive Pro to work with personal documents. 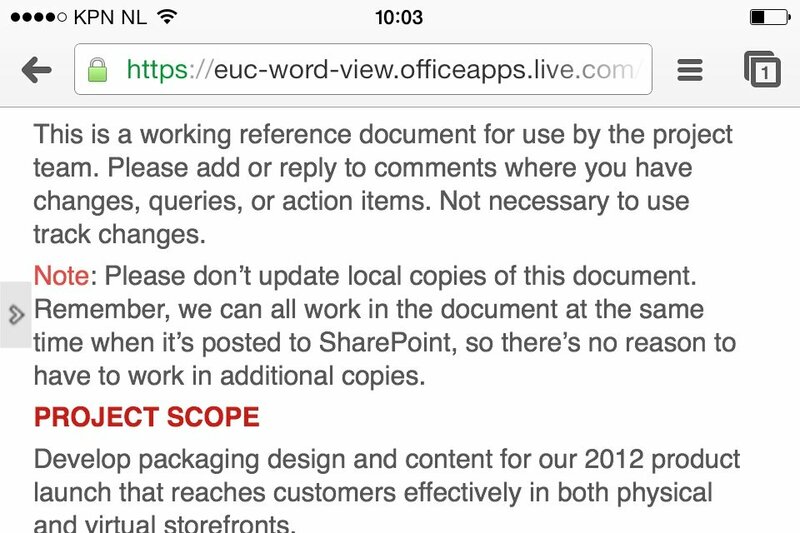 This post is dedicated to working with team documents stored on SharePoint project or team sites used to collaborate. Everyone wants to be able to access these documents anywhere, anytime on any device. These are often very valuable documents with critical information that influence business decisions on a day to day basis. You can imagine that certain professions such as Sales Managers or CIO’s need these documents to quickly make important business decisions. Let’s start by taking a look at the iPad. You still need a lot of faith in your typing skills and a pair of excellent glasses! My advice would be, if you really start to work with Office documents on a daily basis, to buy an external keyboard. This will make life a lot easier for you. I am not doing a comparison between these Apps in this post. My advice? Download a free trial version, perform intensive tests and see what App suits your business needs. Please make sure you can access your files offline because you aren't always online with a tablet. 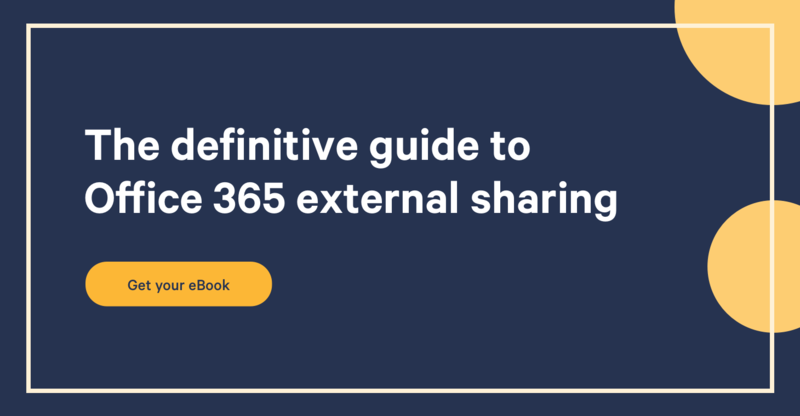 Also make sure the App supports Office 365! A while ago this wasn’t the case with every App. My expectation is that this isn’t the case anymore, but better be safe than sorry. Most Apps don't have an Office editor so you have to assume that you need an additional App to edit Office documents. You can also decide to use the browser. This is a decision you have to make. My recommendation is to thoroughly test multiple Office 3rd Party Apps before you buy one for your business. Invite a couple end-users and ask them for their opinion because they have to work with it after you bought it. Now you are able to select your preferred font size. A nice and nifty little feature. The iPhone has the same apps as the iPad. So make your pick and choose wisely. There isn't a mobile view available. You don't really need it but I find it strange that it’s not available. After this, the location is available when want to save an Office document. I would advise Microsoft to create their own App to support business users who want to work with the Surface RT and SharePoint. The browser of the Windows Phone 8 is comparable to the iPhone 4. Strangely there aren't any apps for the Windows Phone 8. You have to use the Office Hub and connect it to a document library. I described this process in the previous post. You could always search the web for blogs from Waldek Mastykarz and Benjamin Niaulin on Device Channels. 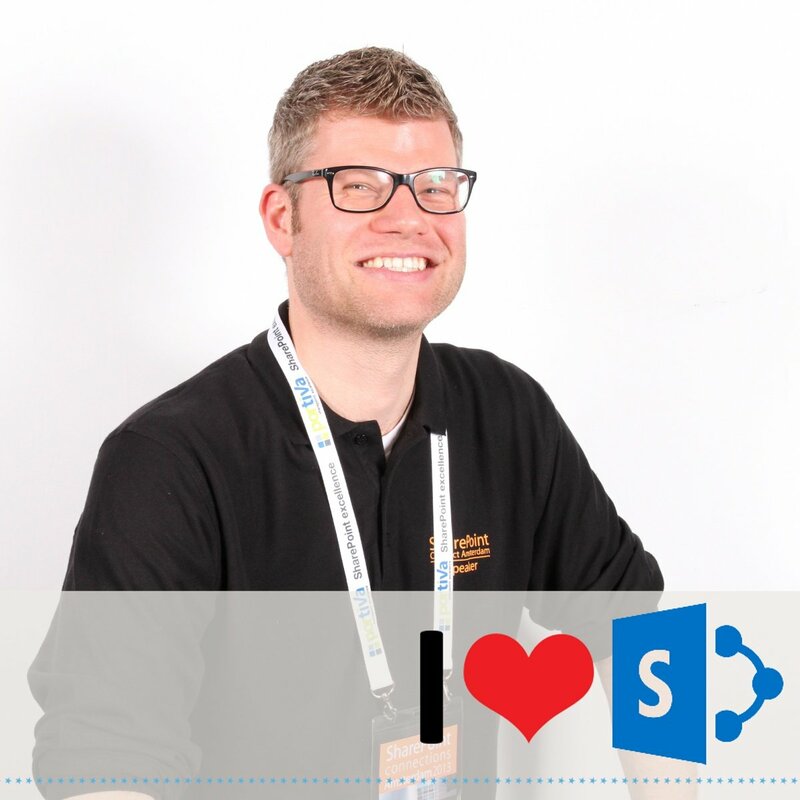 In this and the previous post I showed you the possibilities of working with personal and team documents in SharePoint Online with mobile devices. The personal documents are supported by an App for every mobile devices, unfortunately this isn’t the case with team documents. By now you probably have the following question: “Jasper, what tablet or smart phone would you recommend?” To be honest, I don’t see people editing an Office document with a smart phone, so reading is sufficient. The iPhone and Windows Phone support this scenario with 3rd party or out-of-the-box Apps. The tablets are a different story because with a tablet you can actually get some work done! I find this very difficult and think it’s mostly a personal choice and preference for a certain tablet. You don’t have a tablet? You want to work with Microsoft Office, SkyDrive and SharePoint and want to access your work e-mail with Outlook? Go for the Surface tablet, please get the latest one because the RT is a bit slow and old by now, or get another Windows 8 tablet. Nokia is releasing a new really nice looking Windows 8 tablet. You already have an iPad and love Apple and never want to use a different device? Stay with the iPad. You can get your work done but probably not a smoothly as you expect or hope. This is especially the case while creating and saving Office documents. Can you work anywhere, anytime on any device with documents in Office 365? Yes you can! So long you have an Internet connection, a tablet or smart phone and an App.